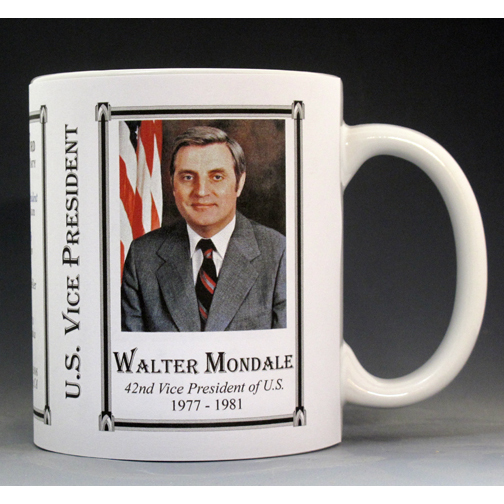 This U.S. Vice President Walter Mondale History Mug is one of a complete collection of U.S. Presidential biographical mugs. 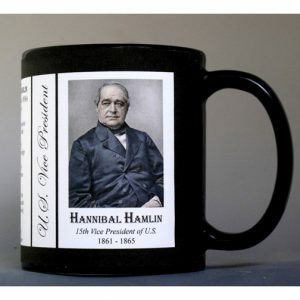 An image of Walter Mondale and a short biography are features of this history mug. Walter Mondale served in the Army during the Korean War and went to law school on the GI Bill. 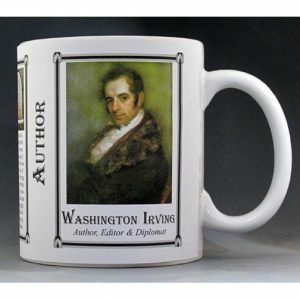 He served as senator from Minnesota for ten years before being elected vice president in 1977 under Jimmy Carter. Mondale became the fourth vice president in four years, the other three being Republicans Spiro Agnew, Gerald Ford and Nelson Rockefeller. 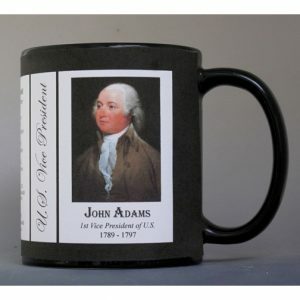 He expanded the role of vice president, acting as a presidential adviser, full-time participant and troubleshooter for the administration. While in the Senate Walter Mondale supported consumer protection, fair housing and the desegregation of schools. After being defeated for reelection in 1984 by Reagan and Bush, Mondale returned to his private law practice until his 1993 appointment as U.S. 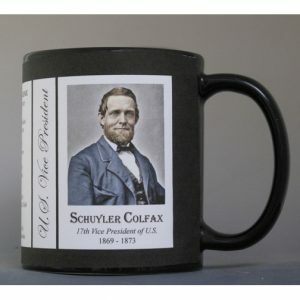 Ambassador to Japan. In 2002 Mondale ran once again for the Senate at age 74 but narrowly lost. 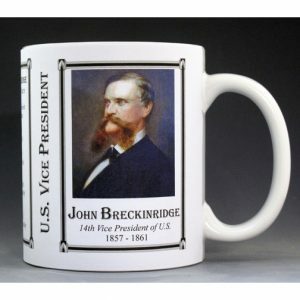 This U.S. Vice President Walter Mondale History Mug is part of our U.S. Vice Presidents Series which includes all of the US Vice Presidents.